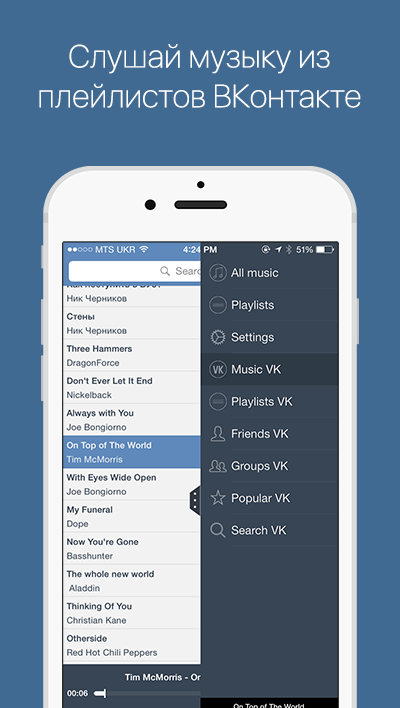 Don´t know how to download music from VK on your iPhone or iPad? Install "Music VK" and the issue will be gone. 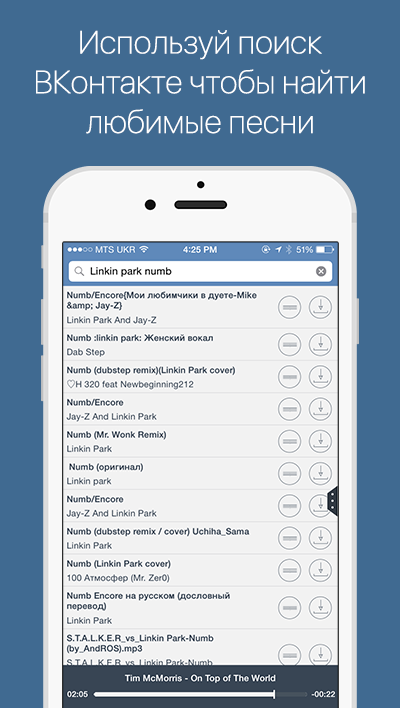 Download your favorite tracks for free in a couple of taps! 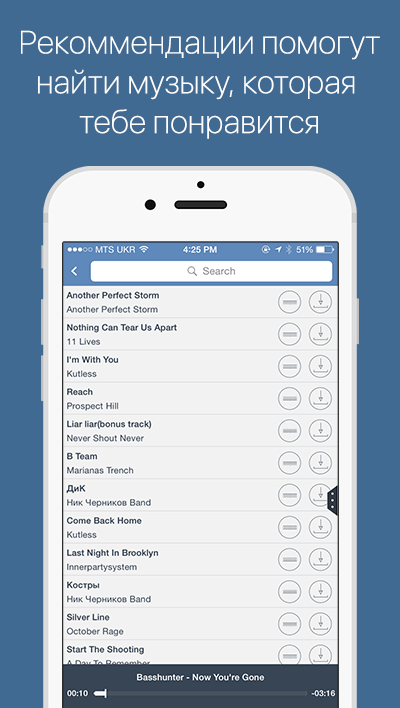 Without iTunes, directly from VK! The first day of use is free and without restrictions. After that you can buy an infinite activation, price is specified in the application settings: "Activate ➭ Payment Methods". 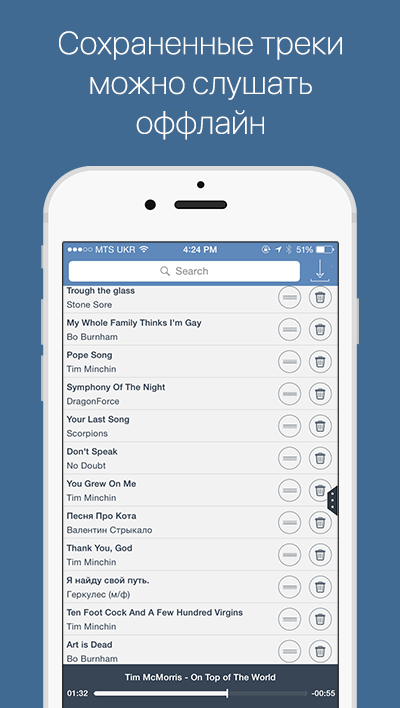 √ no restrictions on the number of songs you downloaded. These data will be transferred to the seller to complete the purchase and activate your app.